The monument commemorates fifty years of service by the Department of Agriculture State Research Farm. The State Research Farm was established in 1912 as the central research farm by the Department of Agriculture, responsible for advances in cropping practices, irrigation practices, milk yields and milk products which resulted in boosting Victoria`s agricultural production. Also, experimentation resulted in new wheat, cereal and grass strains being developed. 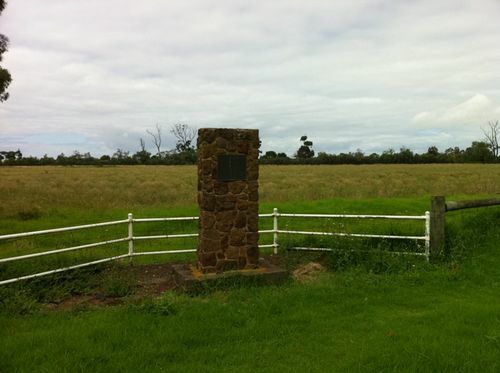 Other research farms were founded in 1912 at Wyuna, Bamawm, Ballarat, and Rosedale . Of The State Research Farm Werribee.